Here it is now. 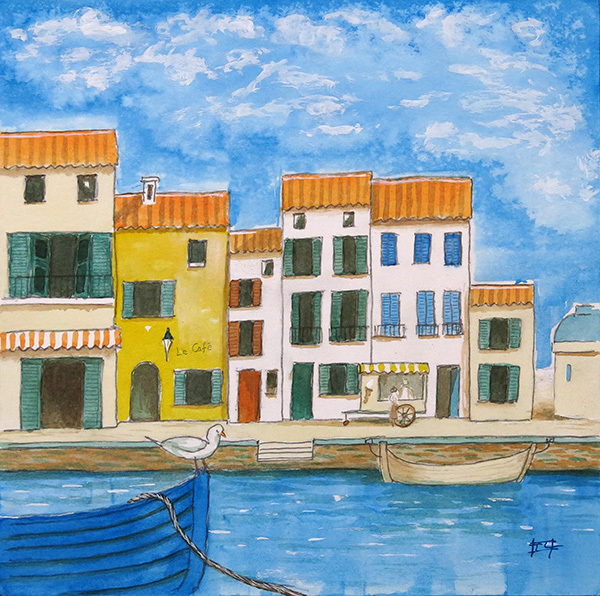 My latest painting that I've called 'A Little French Port'. It's an imaginary scene but based on real places I've seen and a painting I made years ago when I was only 15 ! It's small and is only 7.5 X 7.5 inches. Acrylic inks on Bockingford HP 300gsm watercolour paper, bonded to mdf board with 3M acid free adhesive.